To keep things simple, I sampled it with a glass of water, but I can see it being perfect following an asian meal due to the tanginess which would be very complimentary. I’m blown away by the tanginess of the wrapper and the way it totally influences the smoking experience. Reminds me a bit of the tanginess of a Romeo y Julieta Cazadores, that’s about a 6 on the tanginess scale, this one’s about a 9. 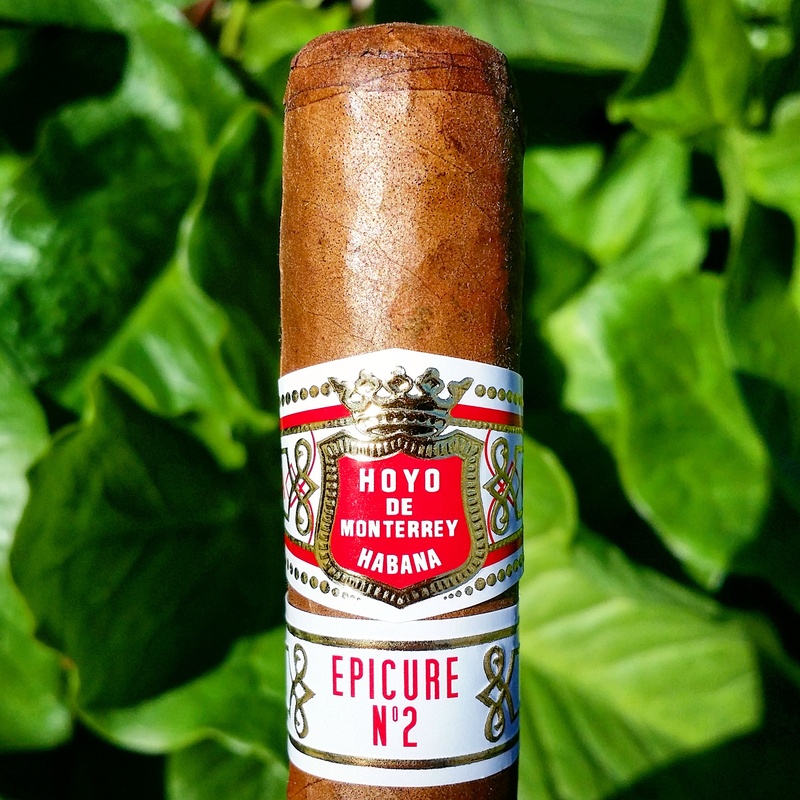 The flavor profile is on the opposite end of the spectrum of the entire range of Hoyo De Monterrey–including the Le Hoyo series. As mentioned above, the burn is off–a bit of a bummer–in addition to the ligero being off center which gives it an angular burn, it also keeps going out. Almost as if the roller used too much seco and not enough volado. As I progressed through the cigar, the rich smoke was very satisfying and the aforementioned tanginess really caught my attention. I sampled this at 2 yrs of age but I don’t plan on touching the rest of the box for at least a couple more years. Interested to see if it will mitigate the incredible tanginess and also balance out the flavors.